Mustard / Refined Oil: 2 tablesp. 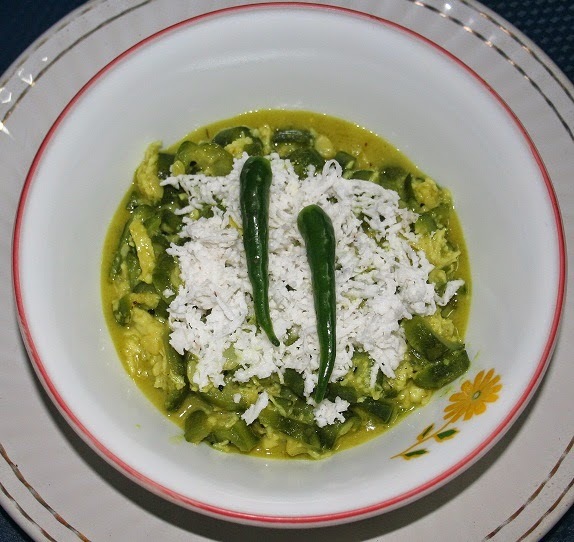 Ridge Gourd, green chilies, salt, sugar and mix well. Add 1 cup coconut Finely chopped the ridge gourd, wash and take aside. Full heat the oil in a pan and add black cumin seeds, fry for 30-40 seconds. Now, pour in the and mix well. Take it off the flame and add the rest of 1 cup coconut. Cover it for 5 mins. 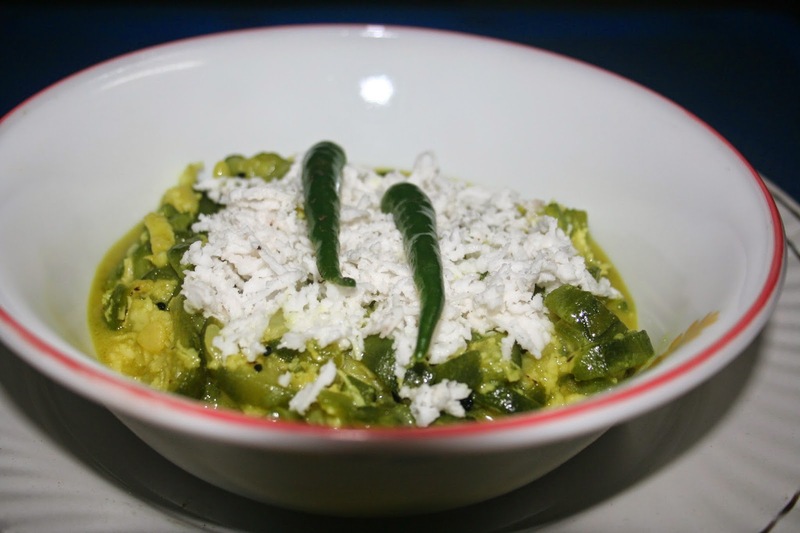 Garnish with green chilies, coconut and serve hot with Rice or Indian plain Roti or Paratha. *Jhinge or Tori or Ridge Gourd helps to beat the heat. It is a cure for jaundice and manages acidity; which are common in summer. Also, Ridge Gourd Beneficial for diabetes and obesity and very good for stomach. 1. So many times, during cooking, we are burnt by hot oil or heated utensils. Apply mashed banana over a burn on your body for cooling effect. 2. In rainy season, it is a big problem to keep chili powder fungus-free! Keeping a small piece of hing (asafoetida) in the same container will store chili powder for long time and fungus-free.